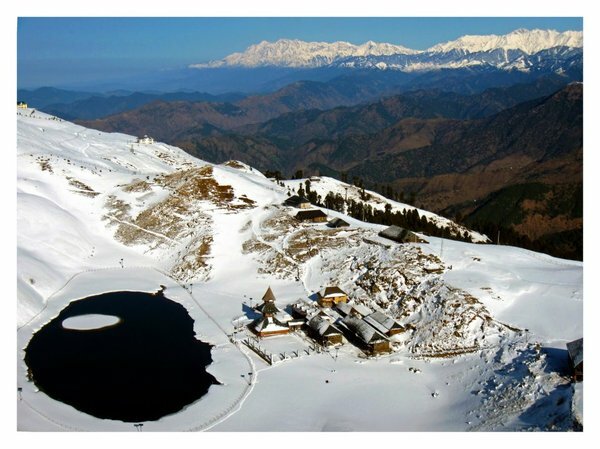 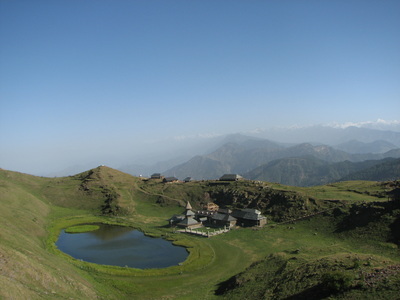 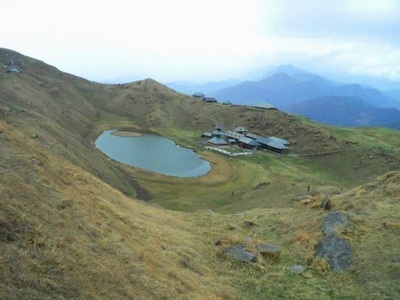 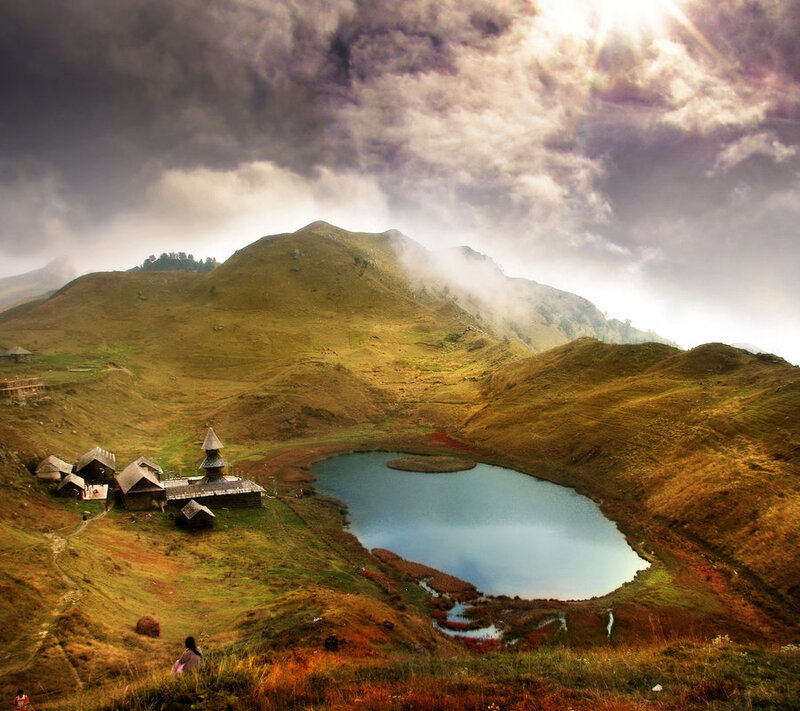 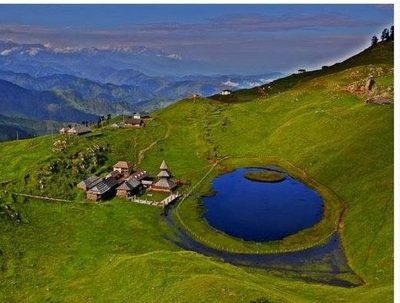 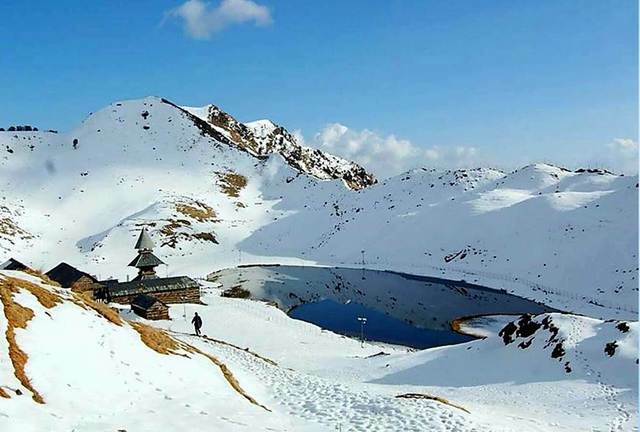 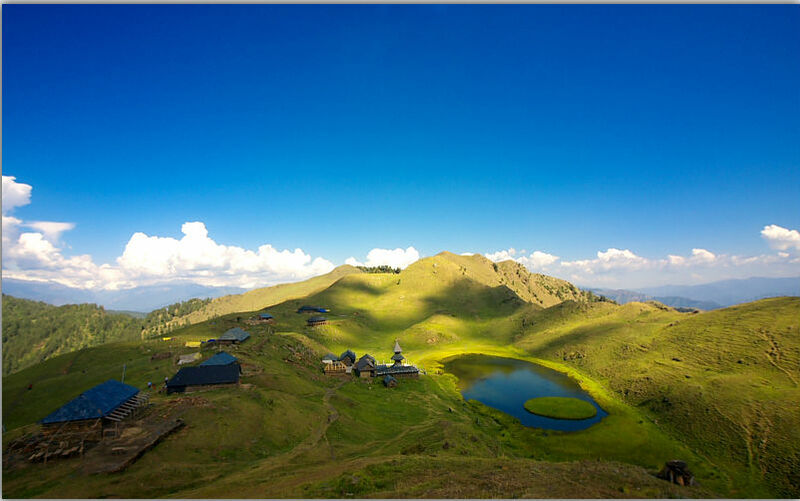 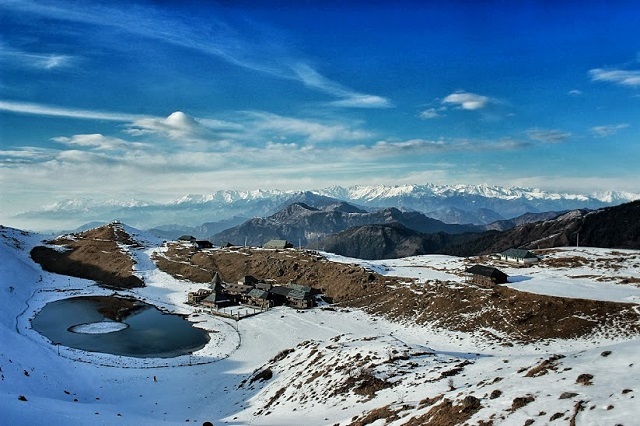 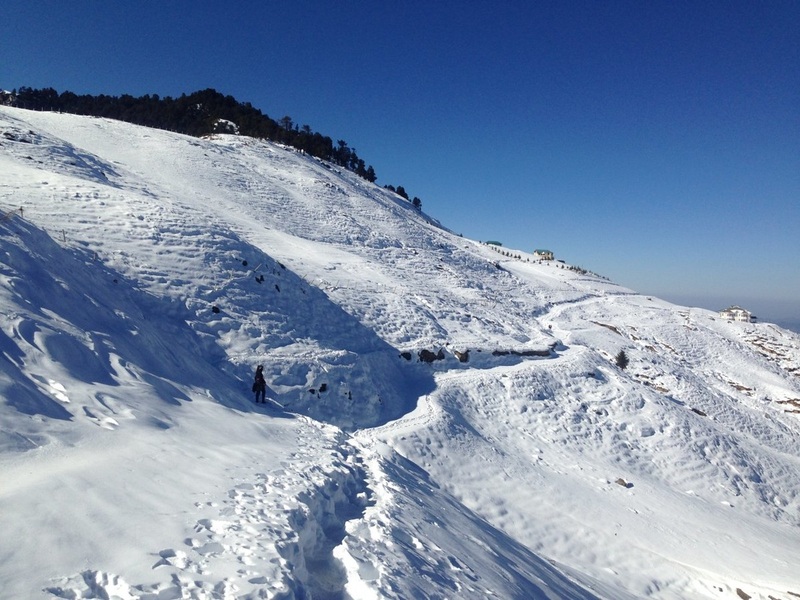 The trek starts from Baggi which is 26 kilometers from the town of Mandi and from there it's a defined route which leads us to Prashar Lake after trekking for 4-5 hours after traversing through dense jungles and enchanting meadows. In winter the whole area is covered with snow and might get slippery at times. 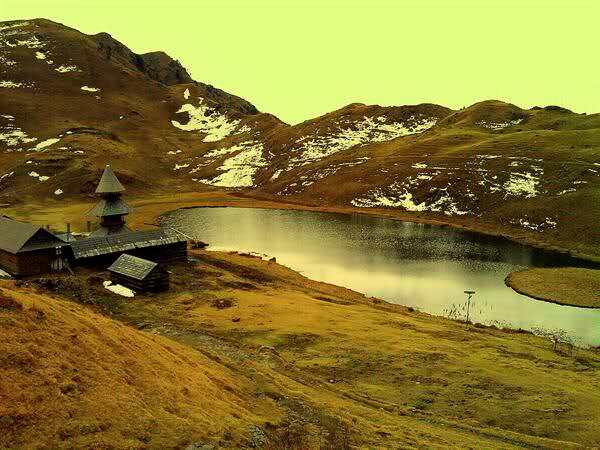 On the top there are some wooden huts and a guest house and some shops for refreshments. 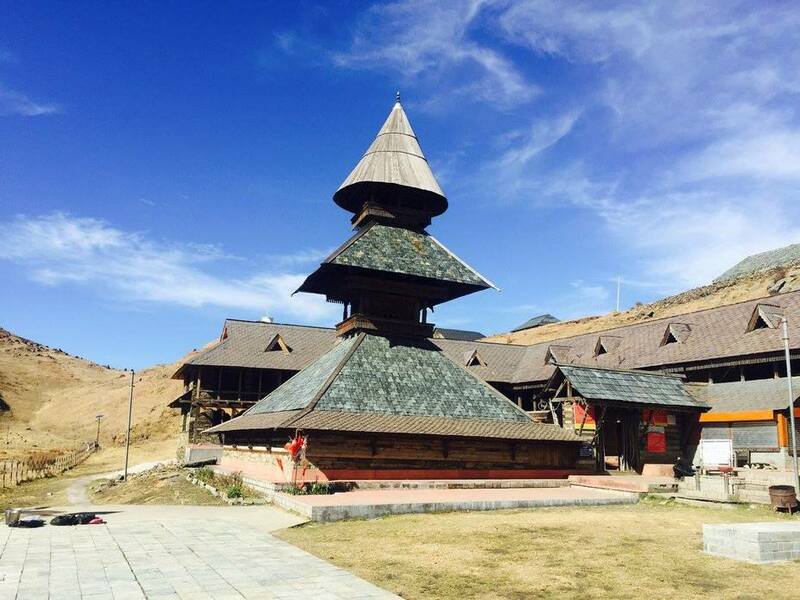 The temple and it's surroundings offer spectacular scenic views and an amazing panaroma of snow covered mountains and lush green meadows where cows, sheeps and goats can been seen grazing along with small huts of gujjars and gaddis. The area is green and is totally untouched by modern amenities and is a great place for picnics and camping. 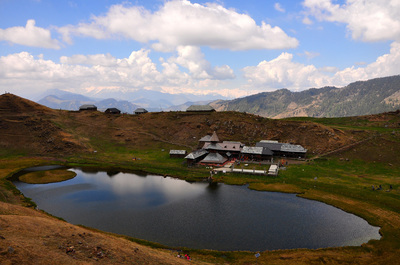 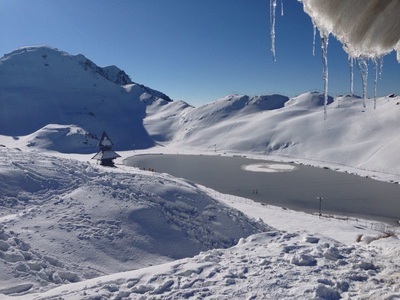 We camp here beside the beautiful Prashar Lake alongside wonderful stars with some music and bonfire and make it a wonderful evening. We retrace our steps back today towards civilization after spending the wonderful evening at the beautiful prashar lake with wonderful memories etched in our mind and truck loads of pictures to show it to friends and family. An evening well spent amidst stars and nature.